In the second race Ransley went even better and won with Vodanovich taking ninth. In Sunday’s final race Vodanovich bagged another top ten finish in seventh, while Ransley was forced to retire. Vodanovich too, was buzzing after a solid weekend. “Despite being my first time racing in Australia, we had high expectations after showing pace in our test day a few weeks ago,” he explained. “Qualifying was tough getting pushed back to 13th out of 40 on the last lap when the track dried after running fifth all session. We knew we had pace and coming into the first race moved up to fifth setting the fastest lap, which was only 0.002 seconds off the race track record. In the second race I made a mistake that put me back at the start and after moving back up the field to battle for sixth we lost power due to a faulty cam actuator and finished ninth. 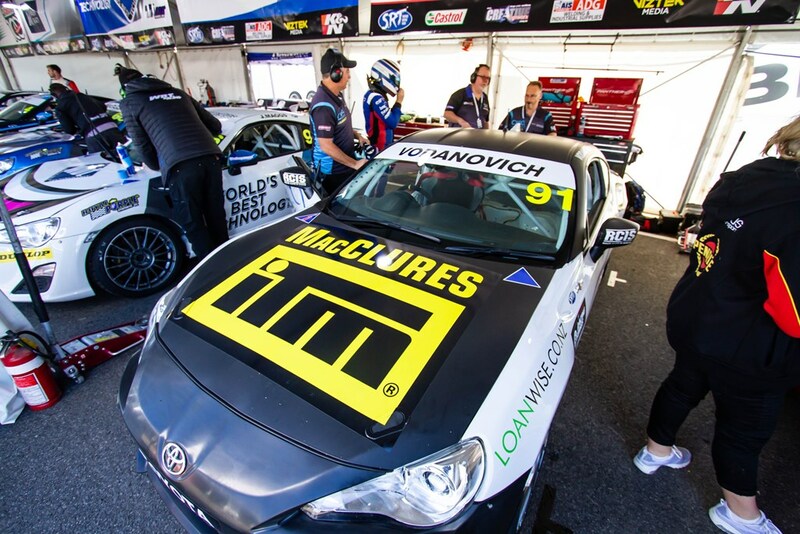 “As we know both Jaden and Peter were competitive in the Toyota 86 Championship in New Zealand and Jaden was extremely unlucky at the final round when in contention for the title,” said Category Manager Geoff Short. “The performance in Australia by both not only shows how competitive the New Zealand series is, but also how much the drivers have learned from it as they have been able to transfer their skills to a series and circuits which they are not familiar with. That bodes well for their championship campaigns across the Tasman.